According to Jewish tradition, it was customary to decorate and glorify the Jewish Synagogues with the best decorations and ornaments of the artists that were renowned at that time. Artnova’s artists who specialize in creating contemporary Jewish artworks, draw their inspiration from history, bible stories, and treasured popular Jewish motifs in order to continue the glory of the Jewish artistic heritage in synagogues in Israel and abroad. The fine line between art and design gives Artnova’s designers and artists the freedom to offer designers and architects unique and original artistic solutions tailored to the Synagogue’s unique feeling and style. Artnova will lead the collaboration with the designer or architect, the artist and the Synagogue’s committee, in artistic conception, thereby achieving the perfect solution for the final interior design of the Synagogue. Luxurious and soft, Soft Paintings with their clean lines, vibrant colors and varying textures provide a new concept in contemporary art. Artnova’s innovative technique allows for original statements, with meaningful artworks expressing feelings of spaciousness while complementing the existing architecture. 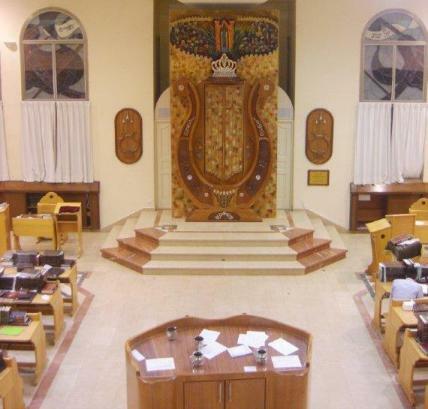 In addition to being an artistic solution, Soft Painting is also an excellent acoustic solution: Insulating materials can be integrated into the painting itself and at the back of the painting, making it an ideal solution for Synagogues with acoustic problems. There are almost no restrictions on the size, softness, color and subjects of the works that Artnova’s artist can create. The paintings can either be frame ready, stretched on an internal hidden frame, made into partitions or into tapestries which can be fixed on walls with Velcro tape. Soft paintings are a perfect solution for large wall decorations, conclave and concave rounded walls, or for the cover and concealment of electrical cabinets and air conditioning vents. Soft paintings are a unique solution for places where frames are not feasible. 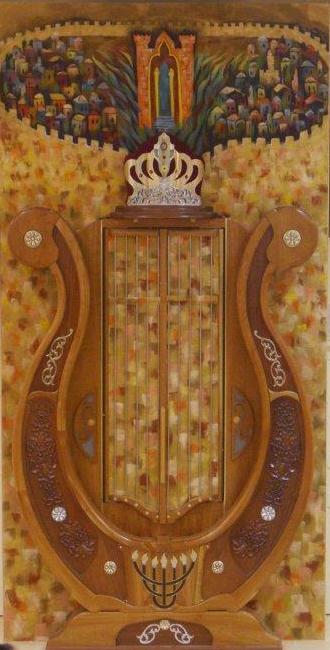 For over 20 years Artnova has been creating works of art for Synagogues in Israel and abroad. The works can be utilized as a curtain covering the Holy Ark, to decorate the Pillars of the Cantor, for stage decoration, Wall Paintings and soft Partitions, as well as other special projects.